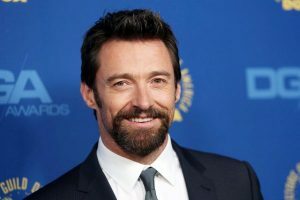 Our very own “Wolverine” Hugh Jackman has had multiple basal cell carcinomas removed since 2013. The much loved actor now shares his sun safe messages on Instagram and makes a conscious effort to cover up when enjoying the outdoors. In May 2014 he appeared at the premiere of the X-Men: Days of Future Past movie, complete with a bandage on his nose. Mr Jackman is not embarrassed of his battle against skin cancer, instead he uses it to encourage others to protect themselves in the sun. Now in her 60s, Hollywood actress Melanie Griffith has had two incidences of skin cancer on her face. In 2009 she had an early stage basal cell carcinoma removed, and again more recently in 2017. The treatment did leave her with bruising and she was snapped wearing a bandaid, but she didn’t hide away because of it. Melanie took to Instagram to warn her followers to be careful in the sun, get skin checks and wear sunscreen. Star War’s Ewan McGregor had his own brush with skin cancer in 2008. As someone with fair skin he knew the importance of mole checks and had several suspicious spots removed on his face. One of the moles located below his eye was in fact cancerous. He has spoken about his skin cancer scare in interviews saying he is fine and the surgery was not a big deal. This emphasises the importance of regular skin checks and early treatment. Caitlyn Jenner is a member of one of the world’s most famous families, the Kardashians, and everything she does is published on social media. One positive to this, is her sharing her basal cell carcinoma story to create awareness. She had this removed from her nose and urged fans to wear sunscreen to avoid the potentially disfiguring cancer. Diane Keaton is an academy award winner and well known for her eccentric style. As a mature aged woman in her 70s, Diane has a history of skin cancer. Not only does it run in her family, but she had her first encounter with basal cell carcinoma at just 21. She has since had squamous cell carcinoma and numerous surgeries for removal. Her position as a face of beauty brand L’Oreal has given her a platform to speak out about skin cancer, and promote the use of sunscreen. If you have noticed anything unusual on your skin, we recommend you take the advice of these famous faces and be proactive. Please contact us to book a skin check.